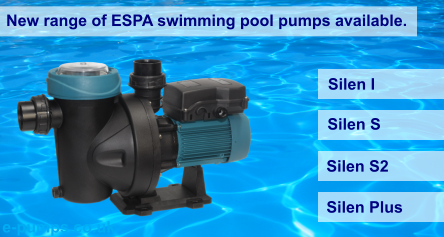 The POMA is a strong and efﬁcient automatic pump in 304 stainless steel and thermoplastic. An exceptionally large ﬂow is produced from an energy efﬁcient 150 watt motor, which makes it ideal for many domestic and industrial jobs, particularly aquatic and processing duties. It is also popular with water companies, who select it for it’s solids handling, level control and reliability. The close, compact positioning of the optional integral tube ﬂoat switch is particularly suited to applications where a sump is narrow or where a traditional pendant type ﬂoat’s operation could be fouled. The 403 stainless steel shaft is ﬁtted with an ultra hardwearing double mechanical seal (inboard: silicon carbide-silicon carbide) – running in an oil chamber – and a vortex thermoplastic impeller, gives generous suspended soft solids handling. Supplied with 10 metres of heavy duty rubber power cable. Users of 230volts have the option to select from two versions: the “domestic” is supplied with a hose tail and a hose clip (for ﬁtting to ﬂexible discharge hose) and a 3 pin plug (ﬁtted with a 5 amp fuse). The “industrial” has a female BSP outlet (for ﬁtting rigid waste pipe) but a plug is not supplied. 110volt pumps are supplied as “industrial”. Maximum Flow 250lpm, Maximum Head 5.5mtrs. 35mm Free Passage. 2" Female BSP outlet. 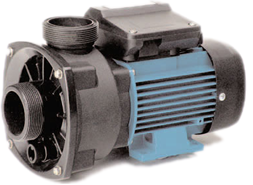 Pump supplied in 230v/1ph/50Hz, 0.15kW.